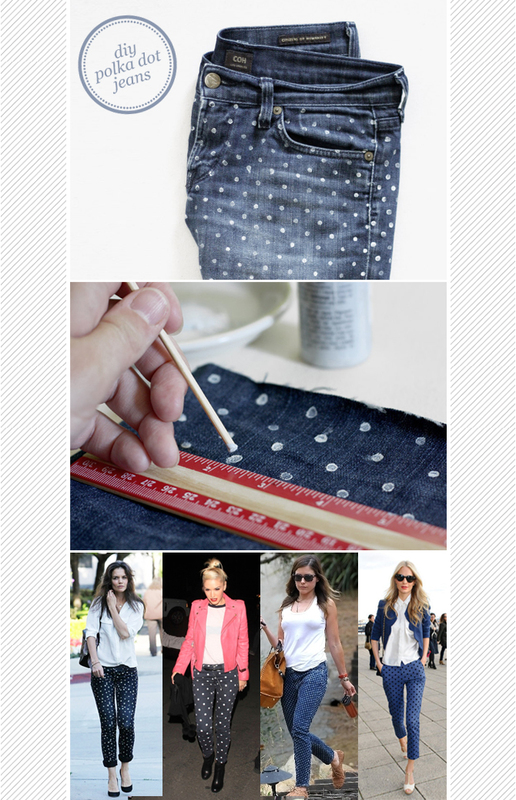 A super cute and easy polka dot jeans tutorial by A Merry Mishap. Her blog is amazing. Maker sure you check out her blog here. Katie Holmes, Gwen Stefani, Sophia Bush, and Poppy Delevigne rocking these in their own unique way!